That’s usually the first thing I hear from mates who have suddenly realised that their data is not immortal. In my day job I have commercial clients whose businesses would literally STOP DEAD if they lost their data, so they’re prepared to fling a bit of cash at the problem. My hobby of helping mates has er, different criteria. Cost is a much bigger factor, and generally things like RTO are not as important. That’s Recovery Time Objective- or how long we can wait to get the data back. Seriously. I have seen a photographer go from a main archive AND 2 backups to spending $2500 on data recovery over a period of 3 weeks. It happens. This means 3 copies of your data, in 2 different mediums, and 1 is offsite. I want you to consider buying a NAS (‘Network Attached Storage’). These things are amazing and do so much more than backups. I use Synology brand, but others are fine. Warning- if you buy a cheap one, you’ll probably love it so much you’ll buy a more expensive model, just buy the good one to start. 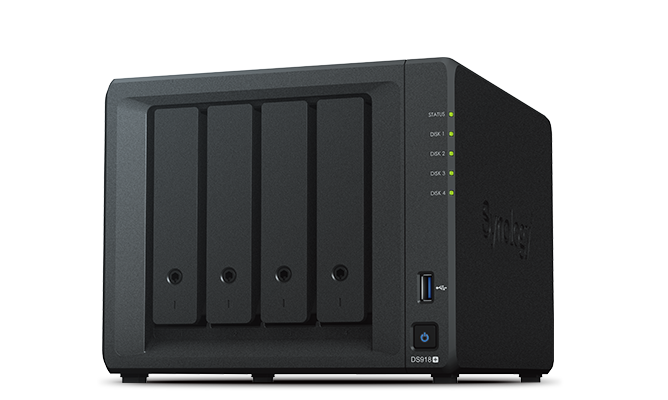 I’ll suggest a Synology DS918+ because it has 4 bays for hard drives and can play moves too. 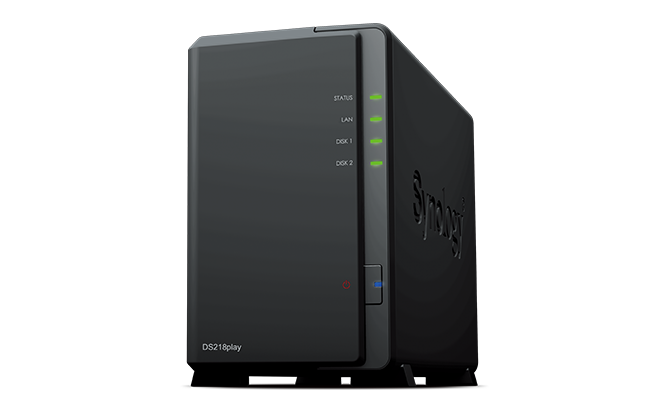 The most entry level device I can stand is the Synology DS218Play which has 2 bays. Put a single drive internally into one of these units and use it as a backup. Add an external drive to the outside and get the Synology to backup to that- now you’ve got 2 backups. (The Synology units all have USB ports for external drives). Get the Synology to backup to a cloud service like Backblaze B2. Now you’ve got 3 backups, in 3 different mediums, and one is offsite (3,3,1)- BINGO! You’ve beaten the requirements! Let’s talk about expandability- in my example the DS219Play has 2 drive bays. You can add an extra drive, but I’d suggest you make it a mirror of the first (technically RAID 1) so that if one drive fails, your NAS can carry on as though nothing happened. This doesn’t give you any extra capacity, but it does mean you can slide out the bad drive, slide in a new one and the Synology will rebuild and you haven’t had any downtime. There’s so much more potential with a 4 bay NAS- you can all the drive bays up and use a combination of mirroring and striping for RAID 10. Striping is using 2 disks and sending 50% of the data to each disk simultaneously, giving you a big speed boost. If you’re not asleep yet, I’d actually suggest using RAID 6 instead of RAID 10 because of the very slight advantage due to distributed parity. Whoops, I promised myself I wouldn’t get technical. If you’re actually prepared to buy a 4 disk array I will help you set it up- that’s how important this stuff is! Sadly, unless you make things automatic, it’s not going to happen. You may have bought those cheap external drives wth good intentions, but I’ve lost count of the number of times I’ve been asked to help in a disaster and the latest backup was ‘sometime last year’. Dropbox, Google Drive, iCloud etc are better than nothing. But these are syncing or storage tools and they are not backup. A backup of a filesystem infers that you can restore everything in place including metadata, permissions etc, but let’s not argue about that now! They really are- inside that $100 device there’s a tiny read/write head flying across platters of golden rust at >5000rpm. All it takes to DESTROY the whole thing and take your data- is a tiny bump. If you trust your data to these cheap, disposable, consumer grade devices you are asking for trouble, and you’ll get it. I’ve just asked you to spend maybe 10x what you were prepared to spend on backups. I can’t make you do it, but you wouldn’t hesitate if you’d been through the kinds of incidents I see all the time. There was a time I posted a backup reminder to Facebook every time one of my friends lost data through poor backup strategies- I had to stop because it was becoming annoying. Your personal photos, documents and movies might be priceless to you- and I never want you to be making the choice between losing them forever or paying >$2000 for the CHANCE of getting them back from a data recovery business.